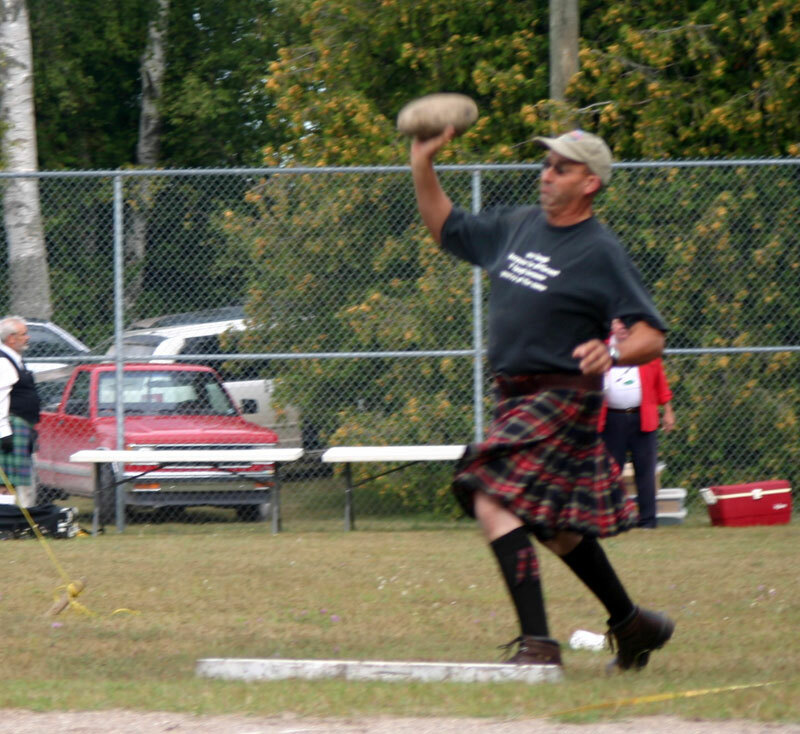 A large crowd gathered for the games at the Bud McDonough Memorial Ball Park. 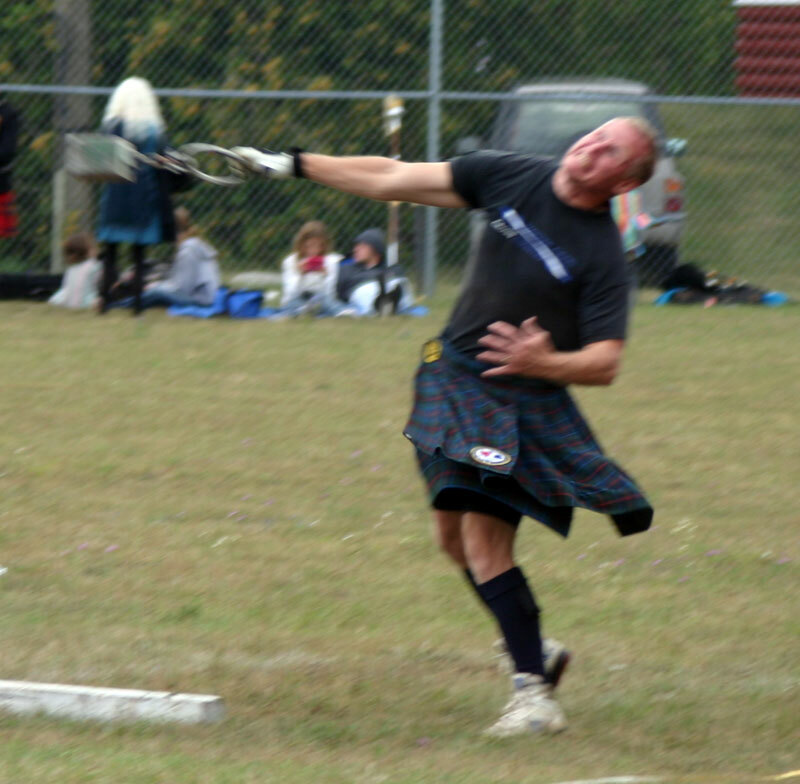 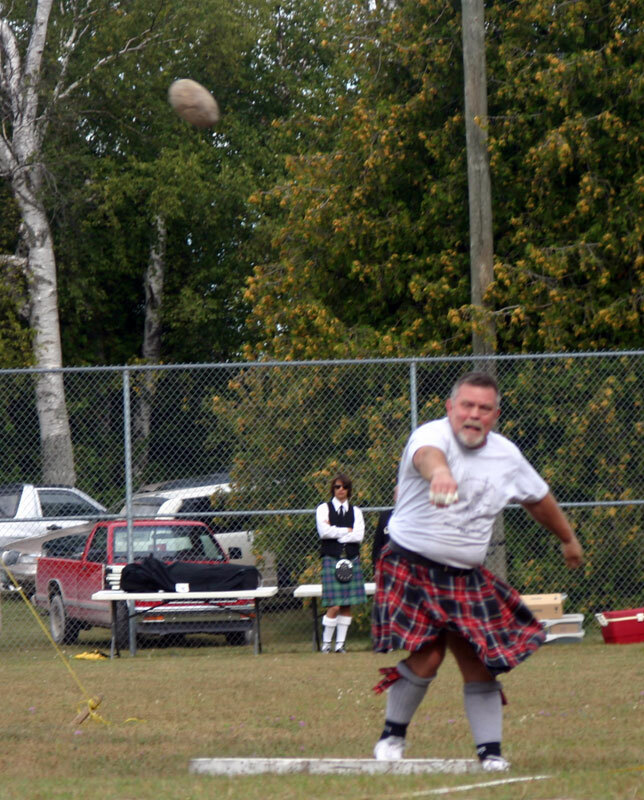 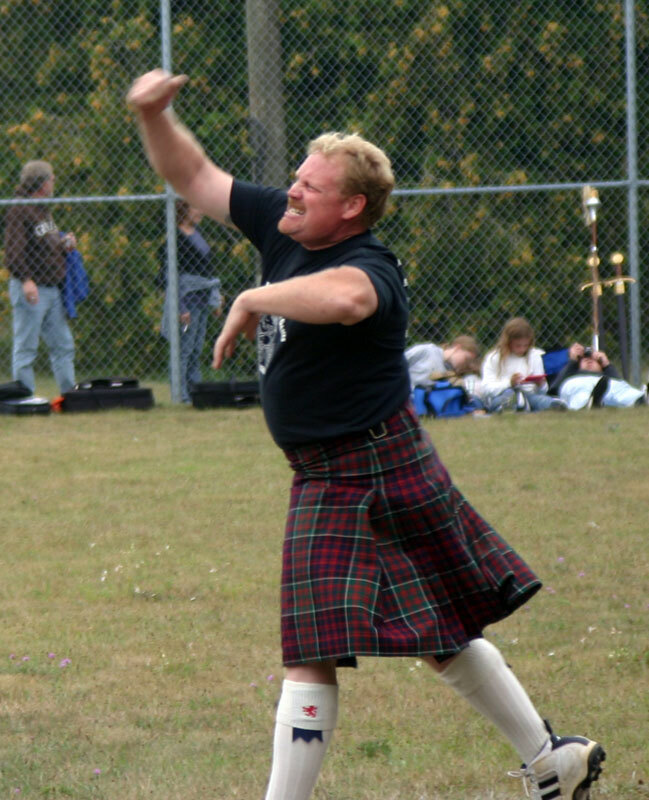 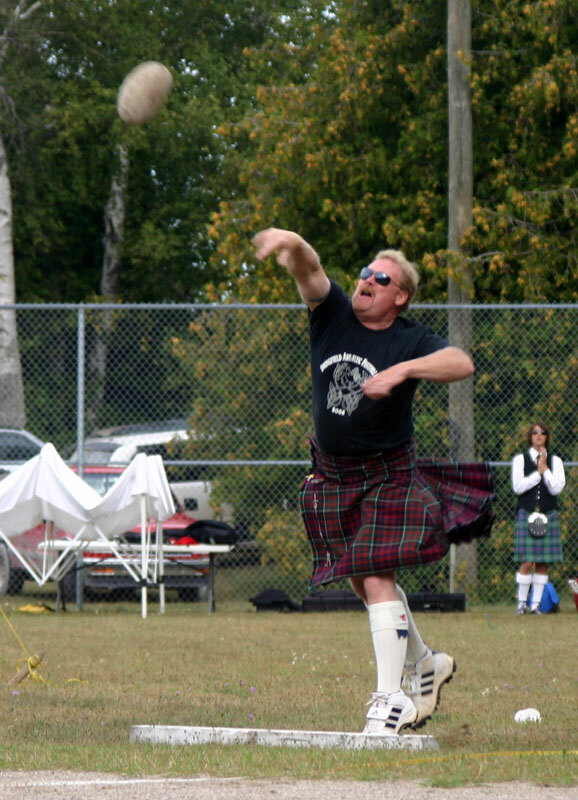 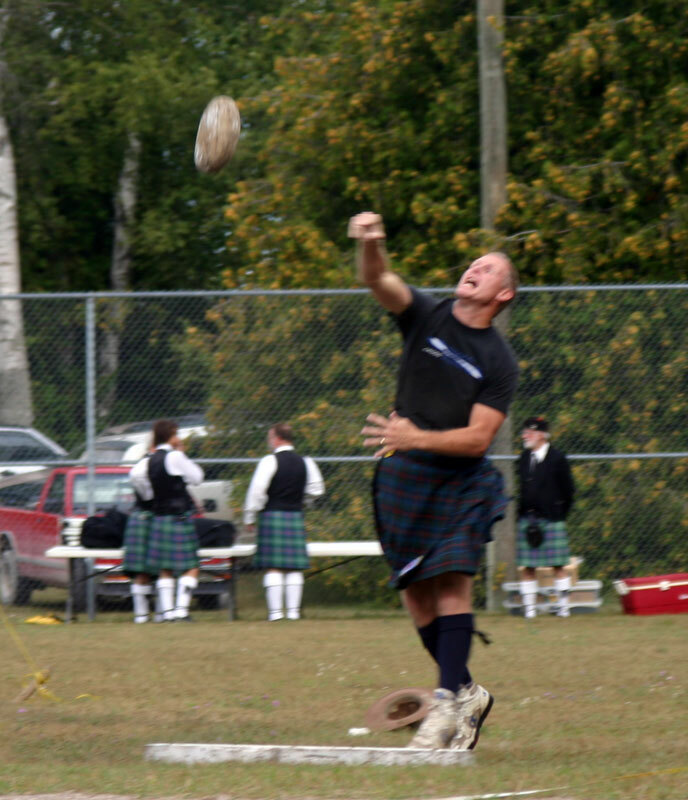 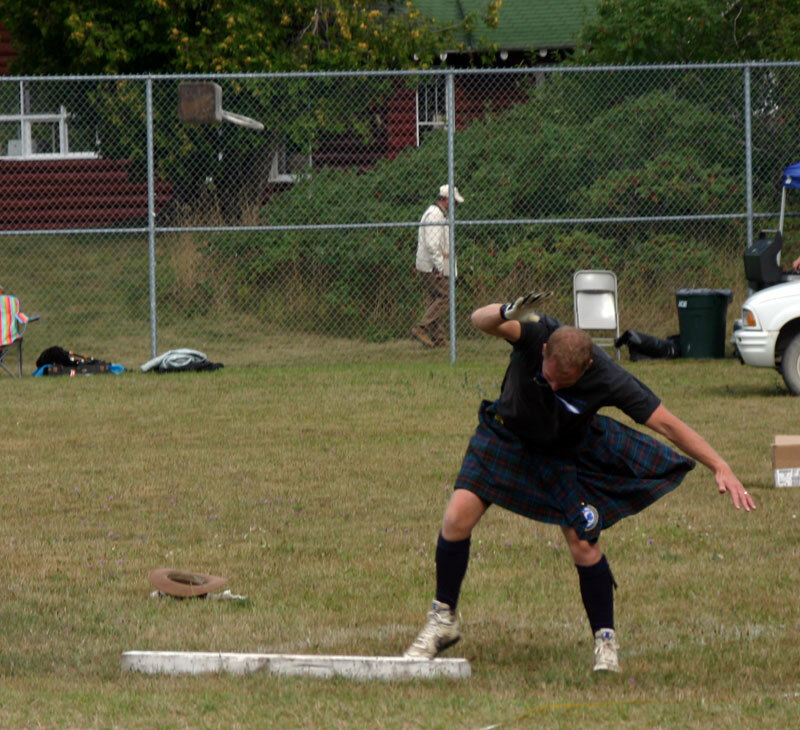 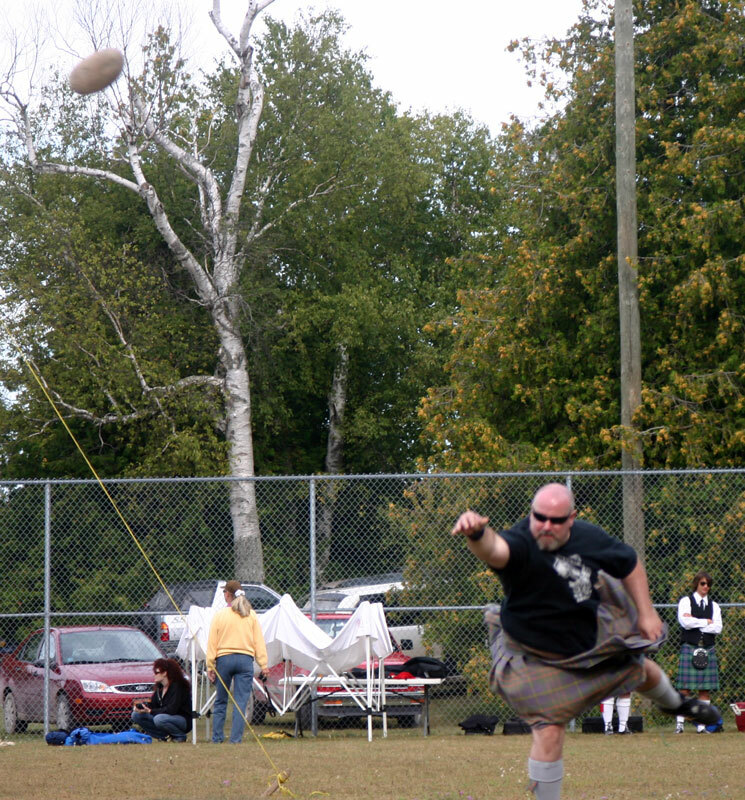 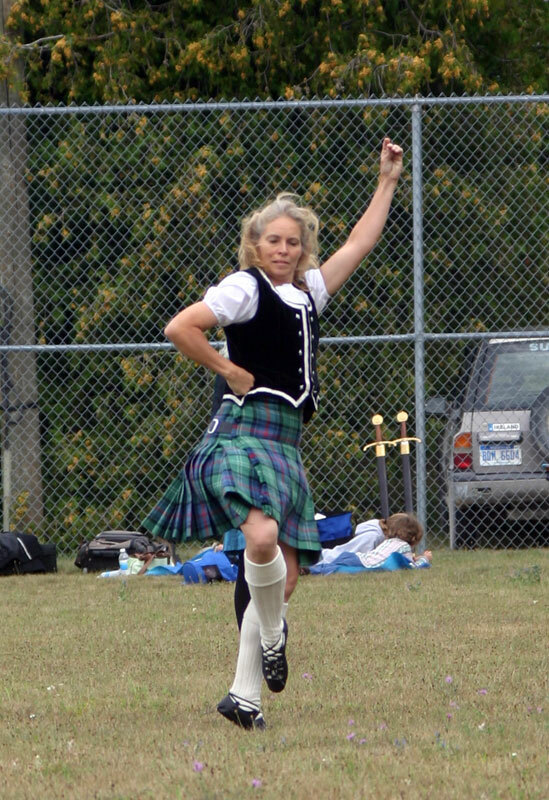 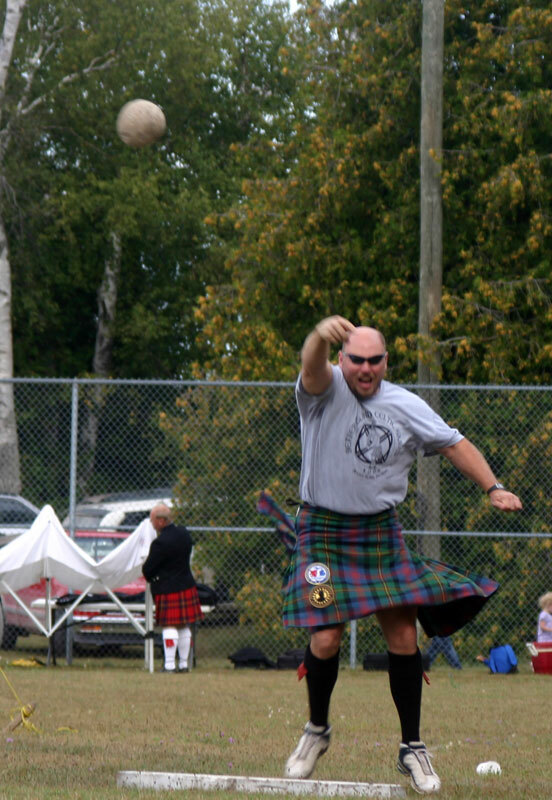 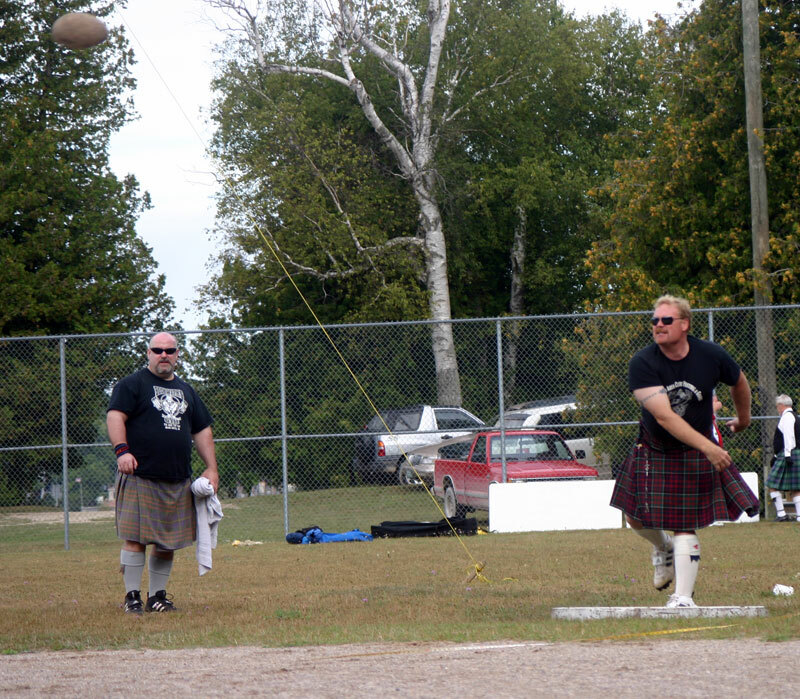 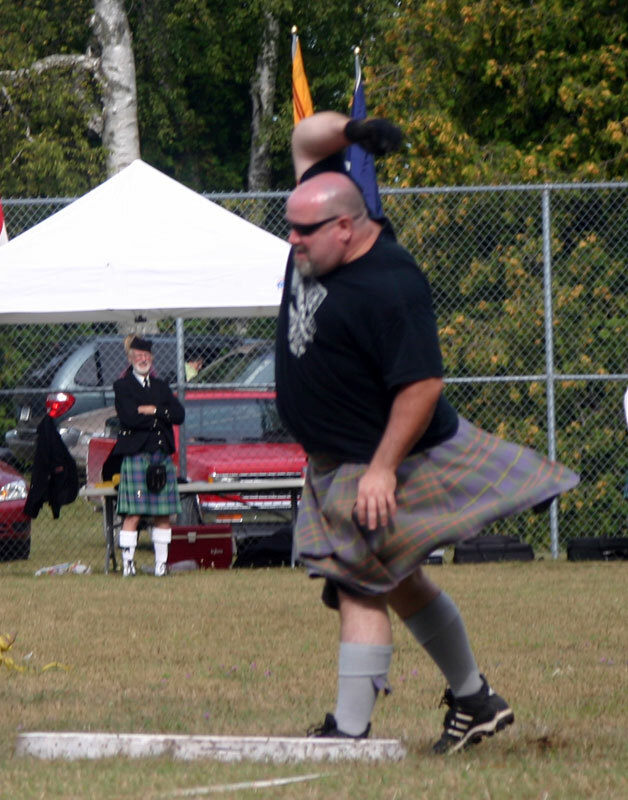 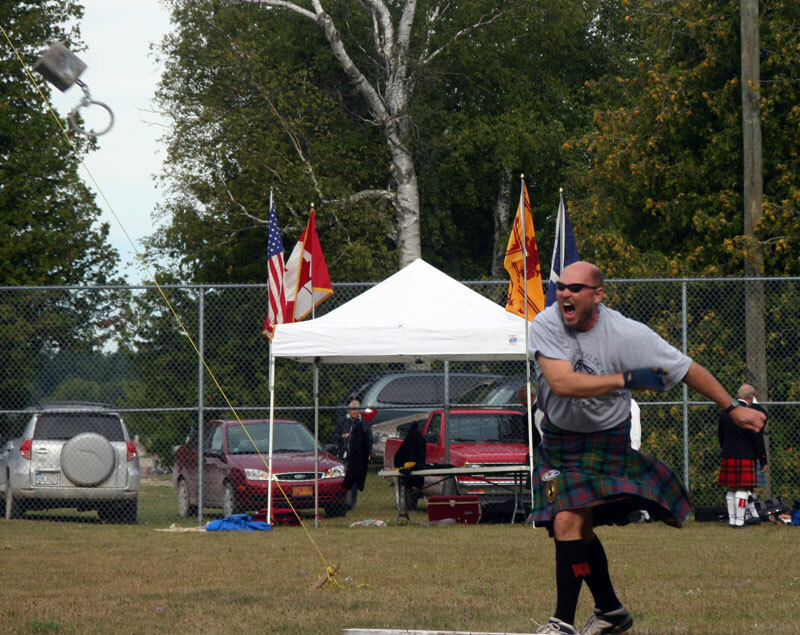 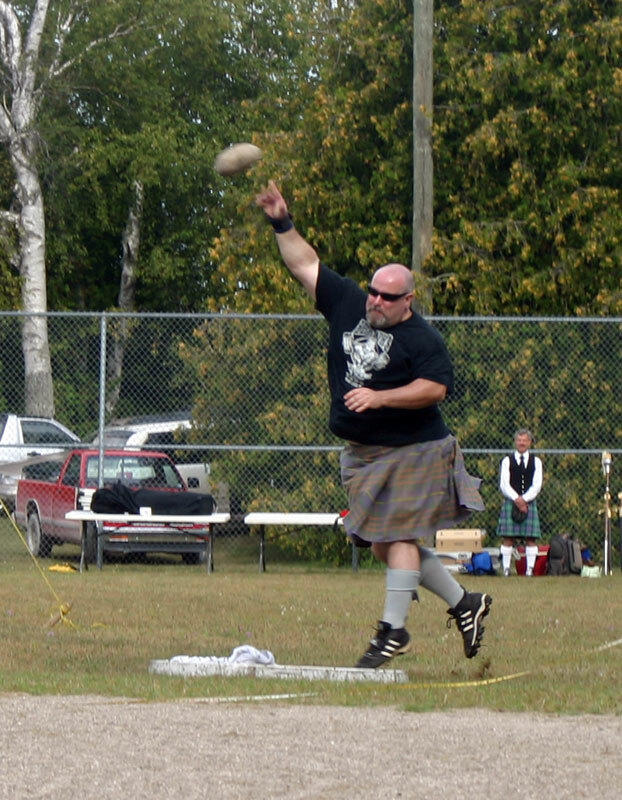 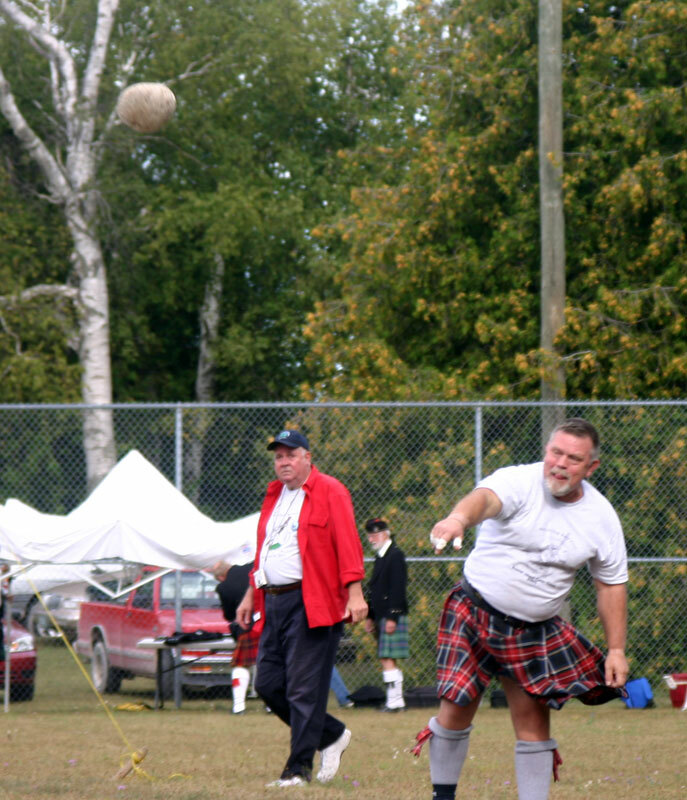 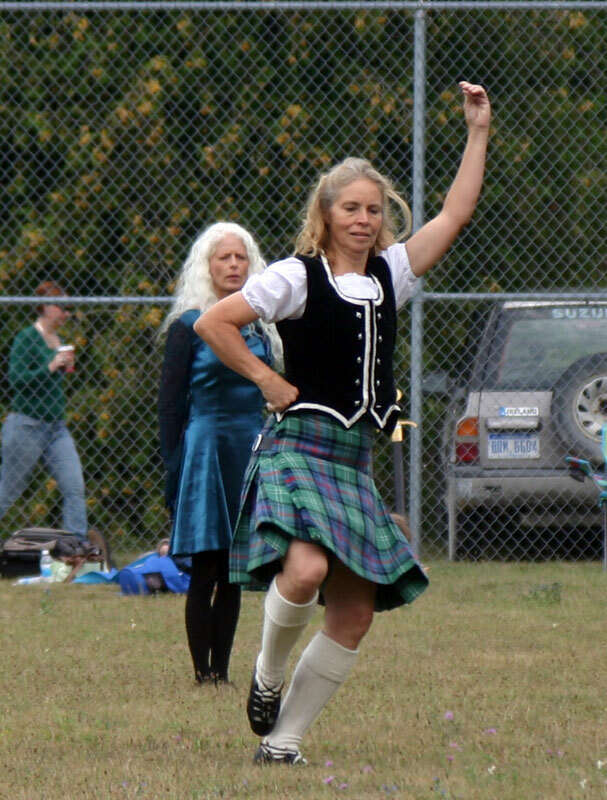 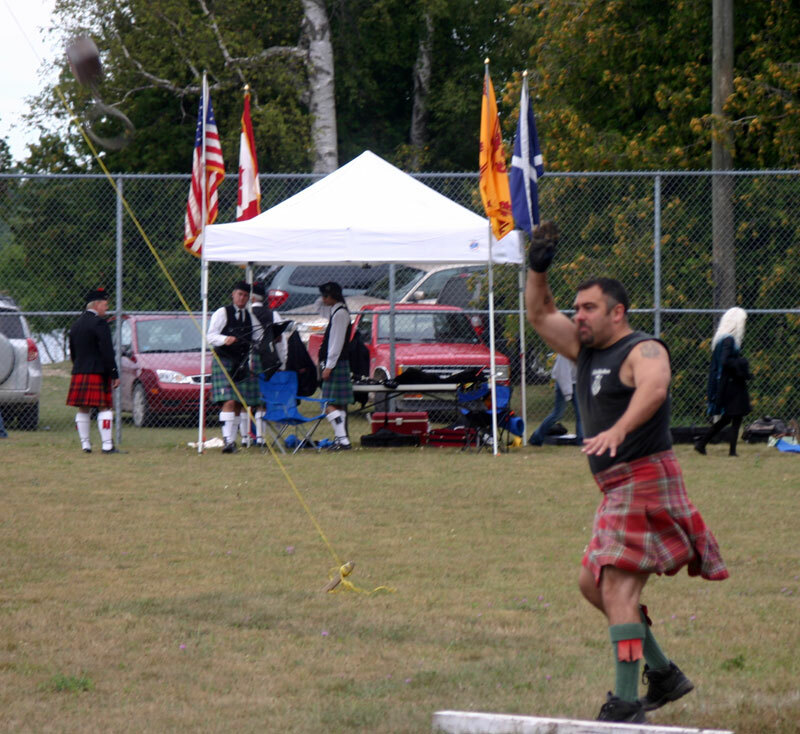 After relaxing and perhaps imbibing on the previous night, the participants in the 4th Annual Beaver Island Celtic Games began their competition at approximately 9:40 a.m. on Saturday, September 13, 2008. 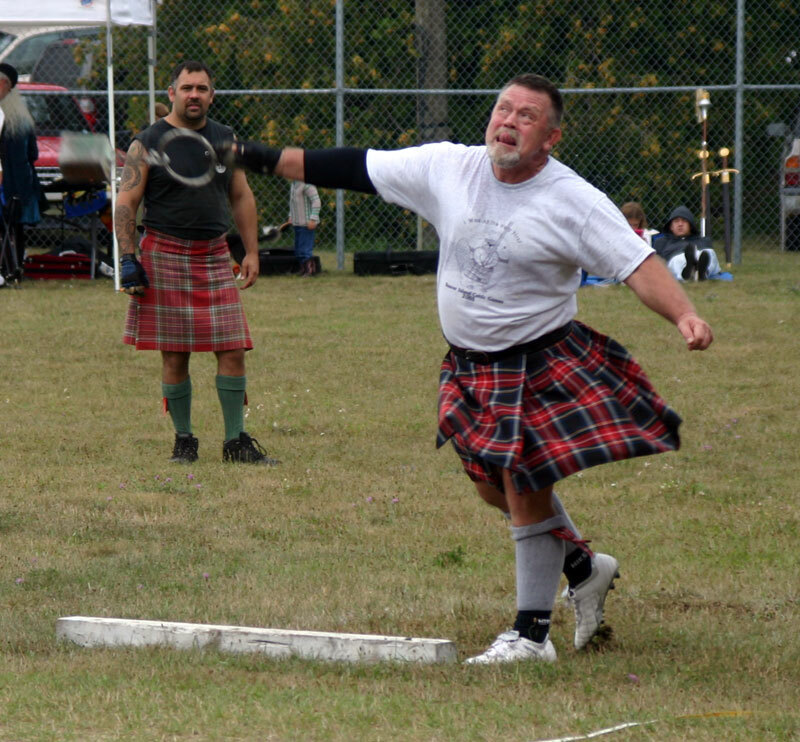 The first event involved something similar to what we now know as shotput, but in the earlier times, the contestants used a stone, a heavy stone. 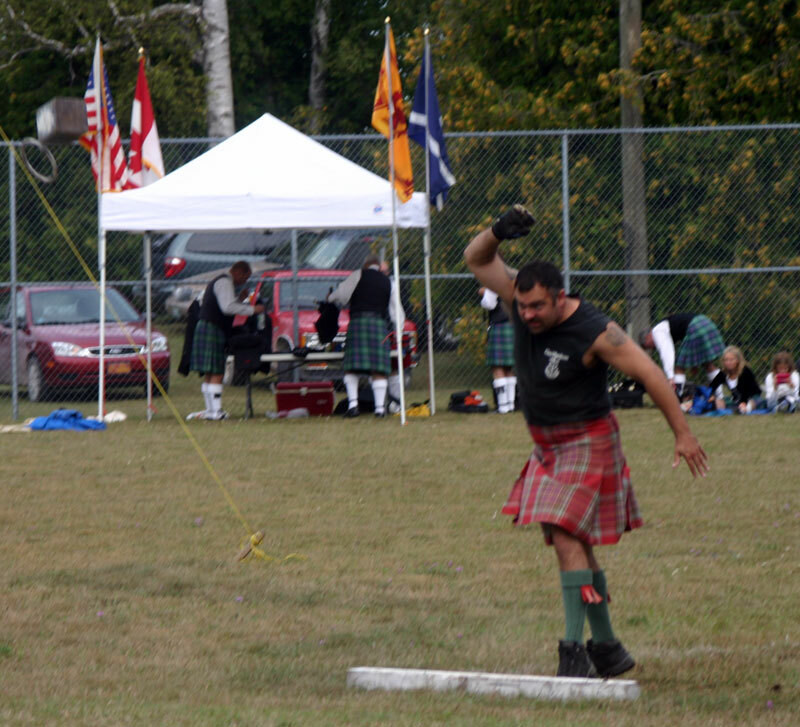 Here are the participants competing in this first event. 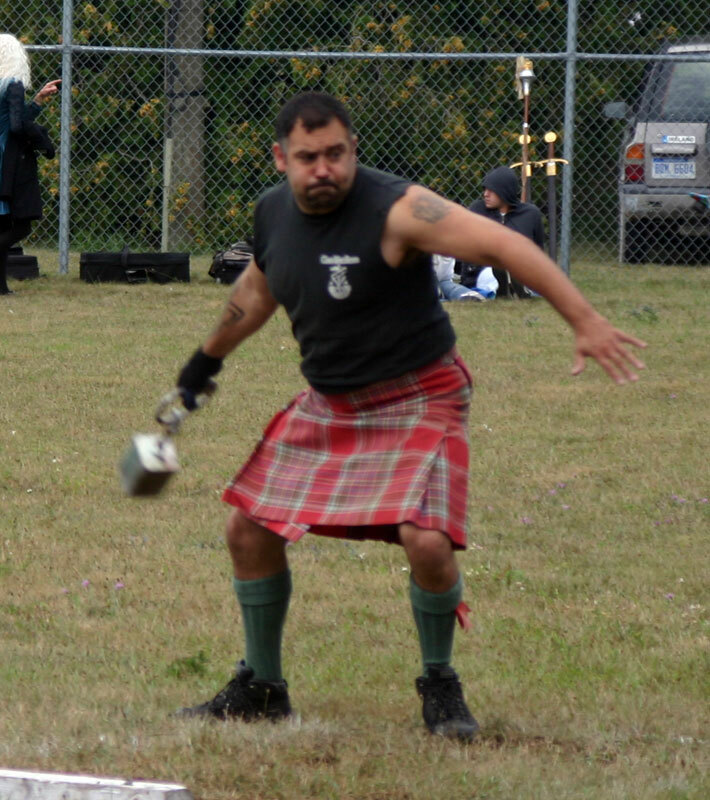 This one was just for a warm-up, but it looked great! 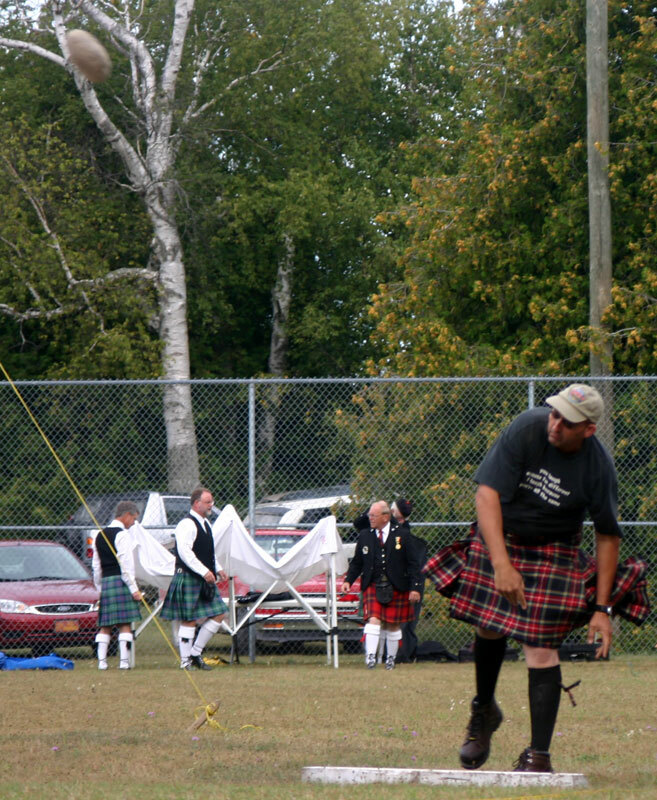 The judge and MC tried to get the crowd involved. 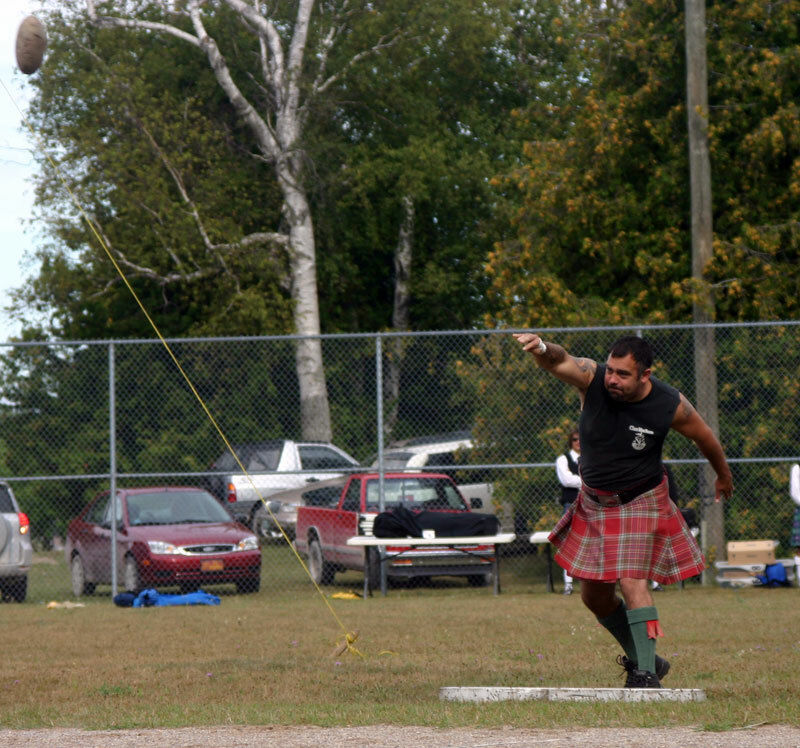 After the first throw or two, the crowd warmed up to the events and began cheering for the participants. 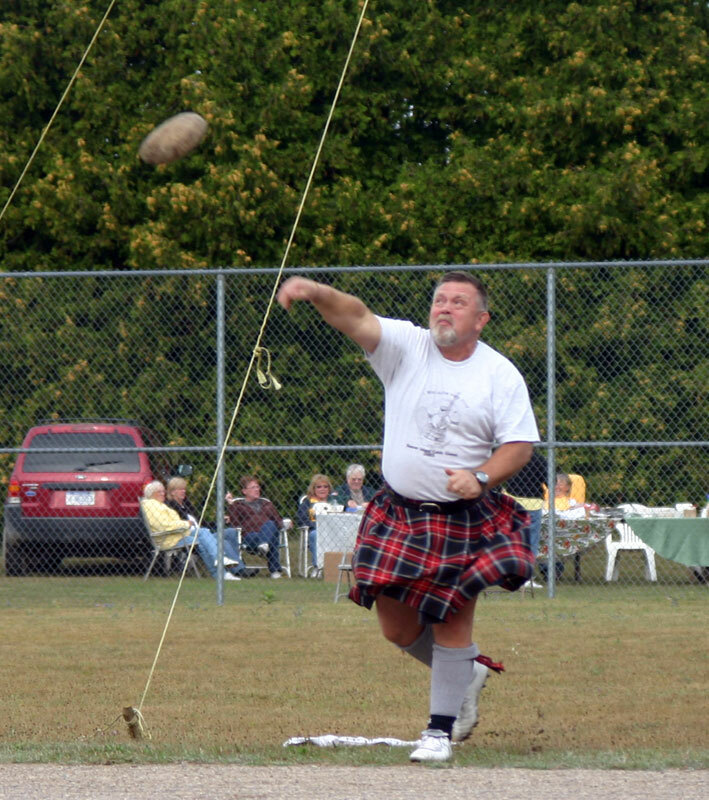 Next came two more throwing events. 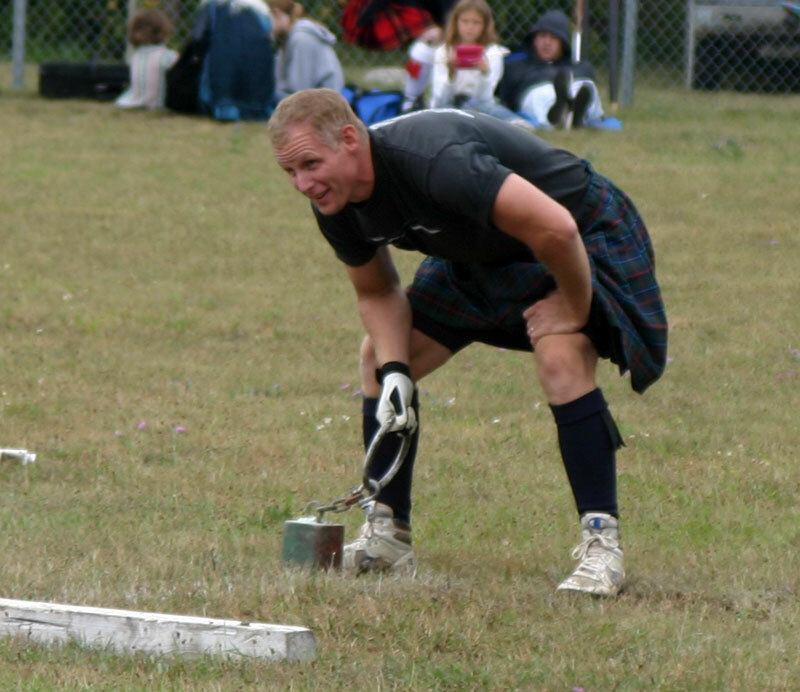 The first involved a 56 pound weight connected to a chain. 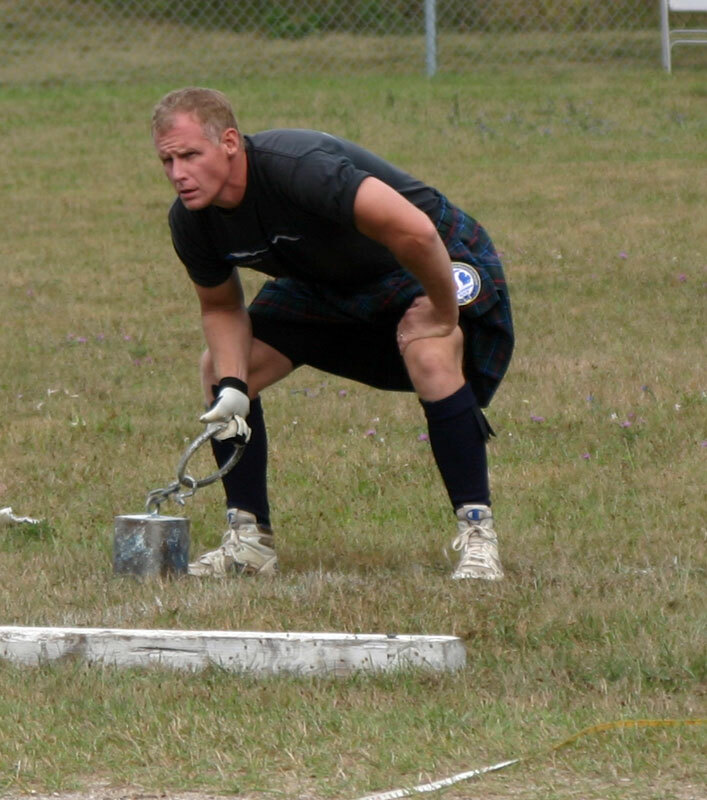 The second was similar except the weight was exactly one-half the first one at 28 pounds. 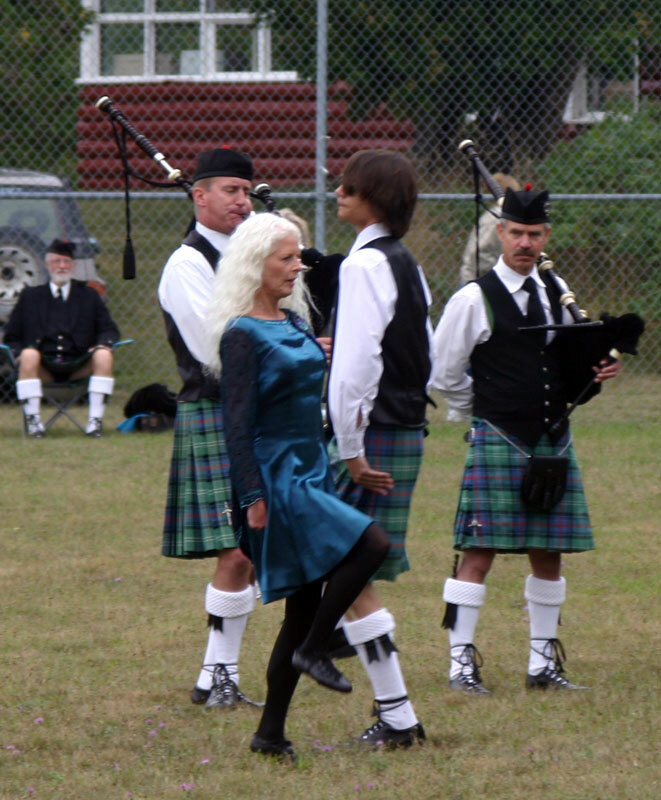 It was time for the Celtic athletes to take a short break, so the Grand Traverse Pipe and Drum Corps with some dancers provided a little entertainment.